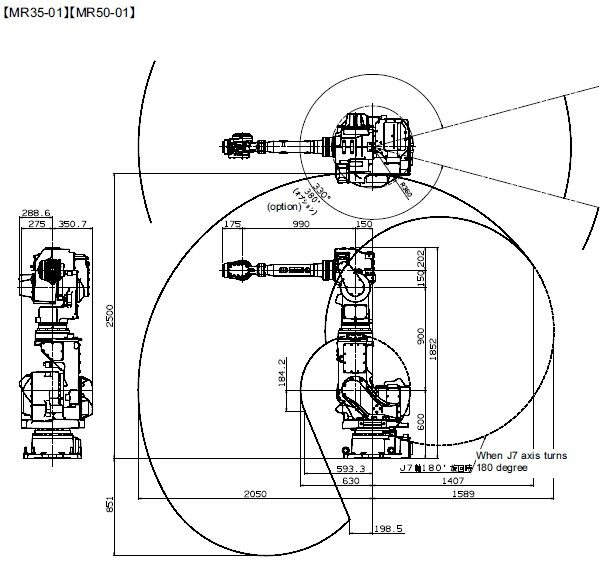 MR35 | Nachi Robotics Systems, Inc. 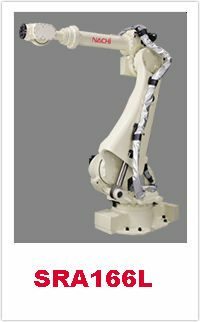 Unique 7-Axis design destinguishes the MR series from other robotic products by providing increased freedom of motion and achieving optimum robot posture at all times. 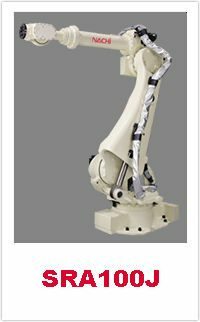 The 7th axis allows the MR series to avoid singularities by providing multiple arm posture solutions for a single working TCP. 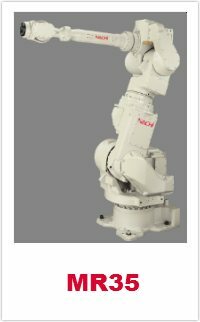 The innovative design structure offered by the MR series makes it excellent for machine tending applications allowing the robot to be placed to the side of the machine, providing an open front for machine maintenance. 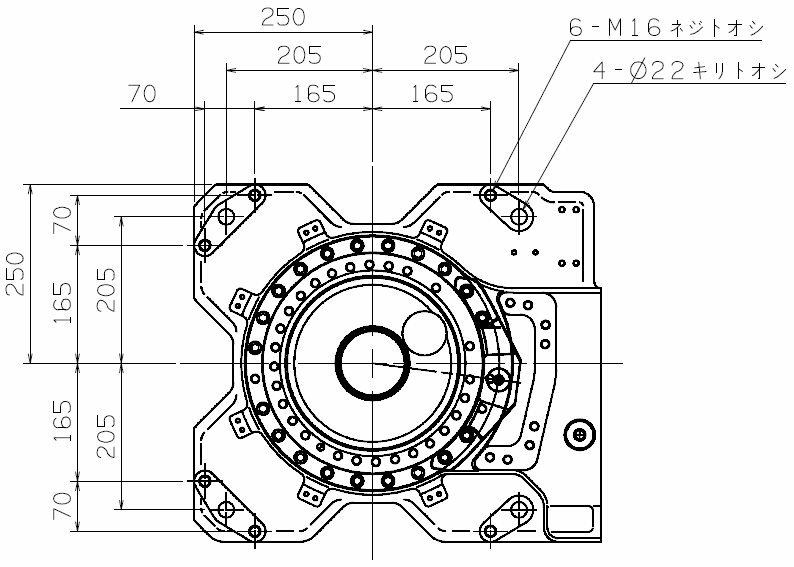 In addition to the impressive motion capabilites offered by a 7-axis design, the MR35 and MR50 are IP67 rated making them an excellent choice for harsh manufacturing environments. 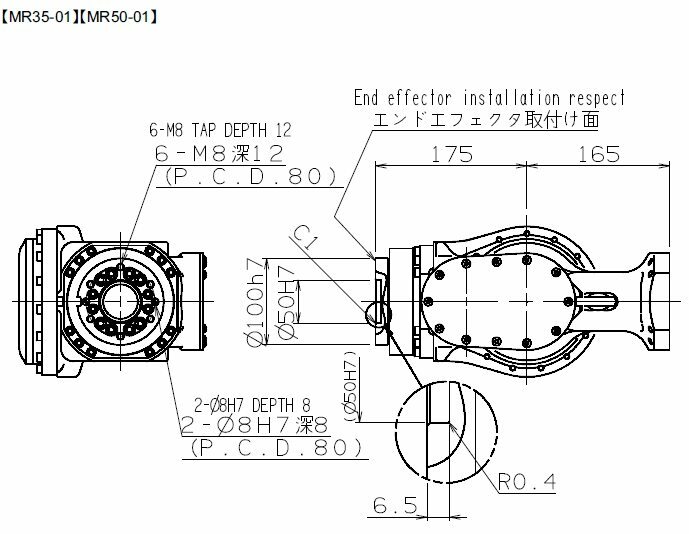 The MR35 & MR50 provide an impressive 2050mm of reach at 35Kg and 50Kg respectively. 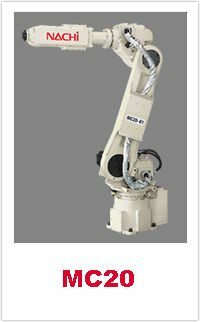 Floor mounting is standard however wall, angled, and invert ceiling mounting solutions are available to maximize work cell flexibility and reduce the automation floor space required. 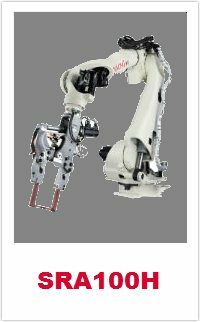 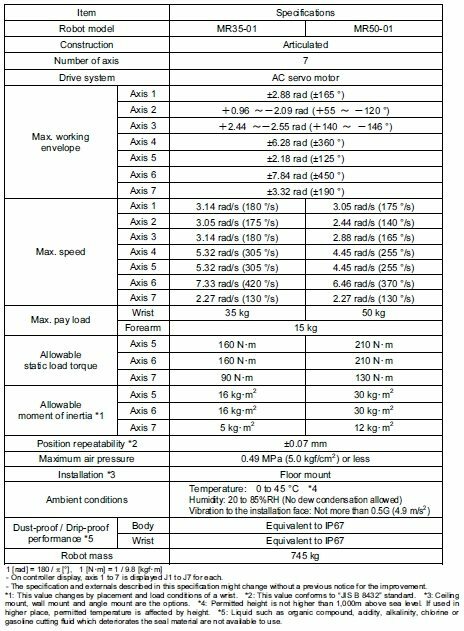 MR35 and MR50 robots are also capable of working cooperatively to perform complex assembly tasks boasting an impressive ± 0.07mm repeatability. 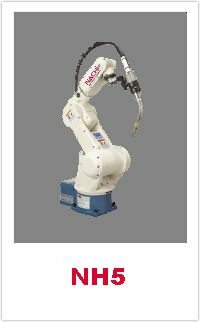 When combined with a robot slider the MR series can tend many machines using a single robot, drastically reducing automation costs. 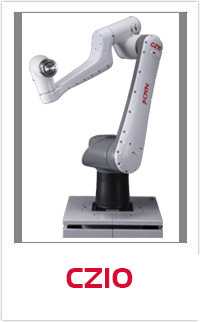 To see examples of the MR series robots in use please visit our YouTube Channel or click the youtube video links below.